Day 6 of the 2012 Olympic games will be highlighted by the battle between the USA and Russia in the Women’s artistic individual all-around for gold, and a chance for Ryan Lochte to win double gold (backstroke, 200 IM) while Michael Phelps will hope to win his 20th Olympic medal, hopefully made of gold. South Korea has two archers in the competition, ranked 1-2 by their qualifying scores, Ki Bo-bae and Lee Sung-Jin, who already won a gold medal in these Olympics in the team event. Tan Ya-Ting of Chinese Taipei is the number 3 ranked archer, still in the running. Men’s slalom C-2 – The world champions of France, Gauthier Klauss and Matthieu Peche, also had the best time in the preliminary round and are the favorites to win their first Olympic gold. The Slovakian duo, twin brothers Pavol and Peter Hochschorner, the Olympic champions three times in a row seem like the only ones capable of denying French gold. Women’s slalom K-1 – Jana Dukátová of Slovakia is the world champion, but she finished sixth in the heats. Jessica Fox of Australia, Elizabeth Neave and Maialen Chourraut of Spain are the favorites to take gold. Men’s team sprint – Two thirds of the British trio that won gold in Beijing, Chris Hoy and Jason Kenny, will be the favorites to take gold once again at home, with France and Germany as strong contenders for medals as well. Russia are the gold medalists, and the medals will probably be split between them, Italy and South Korea. A probable battle between two American gymnasts, Aly Raisman and Gabrielle Douglas, and a Russian duo – Viktoria Komova and Aliya Mustafina. Men’s 100 kilograms – Maxim Rakov of Kazakhstan is the silver medalist from the world championships; Levan Zhorzholiani of Georgia, number two in Europe; Amel Mekic of Bosnia, former European champion; Naidangiin Tüvshinbayar of Mongolia, the Olympic champion; Henk Grol of the Netherlands; Ariel Ze’evi, the European champion; Takamasa Anai of Japan and World champion Tagir Khavbulaev of Russia are favorites to win the medals. Women’s 78 kilograms – The medals will go to four of Mayra Aguiar (Brazil, WC bronze medalist); Kayla Harrison (USA, WC bronze medalist); Akari Ogata (Japan, WC silver medalist); Audrey Tcheuméo of France, the world champion and Yang Xiuli of China, the Olympic champion. Men’s double sculls – A pretty open final between six duos – GB, Lithuania, Slovenia, Argentina, New Zealand and Italy, all capable of finishing in the top 3. Men’s lightweight coxless four – A three way battle between Great Britain, Switzerland and the Netherlands. Women’s eight – United States or Canada. Walton Eller of the United States is the Olympic champion and the favorite to win gold. Women’s 200 meters breaststroke – With Rebecca Soni of the United States setting a new world record in the semifinal, being also a Olympic and world champion at this event, it’s hard seeing anyone else finishing first. Rikke Pedersen of Denmark, Satomi Suzuki of Japan, Yuliya Yefimova of Russia and Suzaan van Biljon of South Africa are all potential medalists. 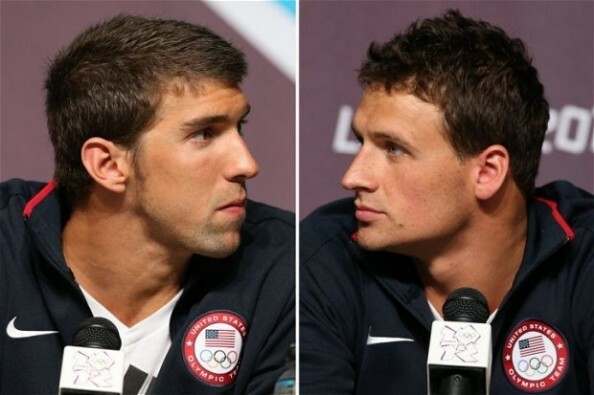 Men’s 200 meters backstroke – The gold will probably go to either Ryan Lochte, the Olympic and world champion at the event, or Tyler Clary, another American, the bronze medalist from the world champion with the best time in the semifinals. Ryosuke Irie of Japan and Zhang Fenglin of China will battle for bronze. Men’s 200 meters individual medley – Laszlo Cseh of Hungary had the best time in the heats, but the gold will probably go to either Lochte or Michael Phelps, hoping to win the event for a third straight Olympic games, with Phelps hoping Lochte, the world champion, will be tired from the backstroke. Women’s 100 meters freestyle – Ranomi Kromowidjojo set a new Olympic record in the semifinal, and the Dutch will be looking to win her first individual medal in the games. Melanie Schlanger of Australia is probably the favorite, with Missy Franklin of the United States and Tang Yi of China also in the running. Two semifinals – Zhang Jike of China, the 2011 world champion againstChuang Chih-yuan of Chinese Taipei and Wang Hao of China against Dimitrij Ovtcharov of Germany. Zhang Jike is the obvious favorite for gold.